♥♥NO WAITING!! Start RIGHT NOW and just type over the sample text! 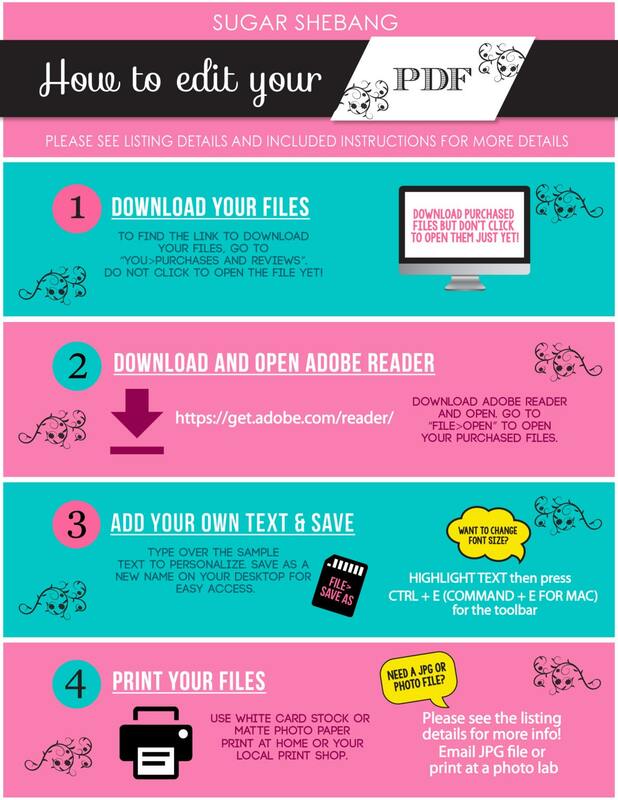 Edit yourself with the latest version of Adobe Reader. If you would prefer to have me customize this file, please contact me and I will set up a custom listing for you ($4 extra). 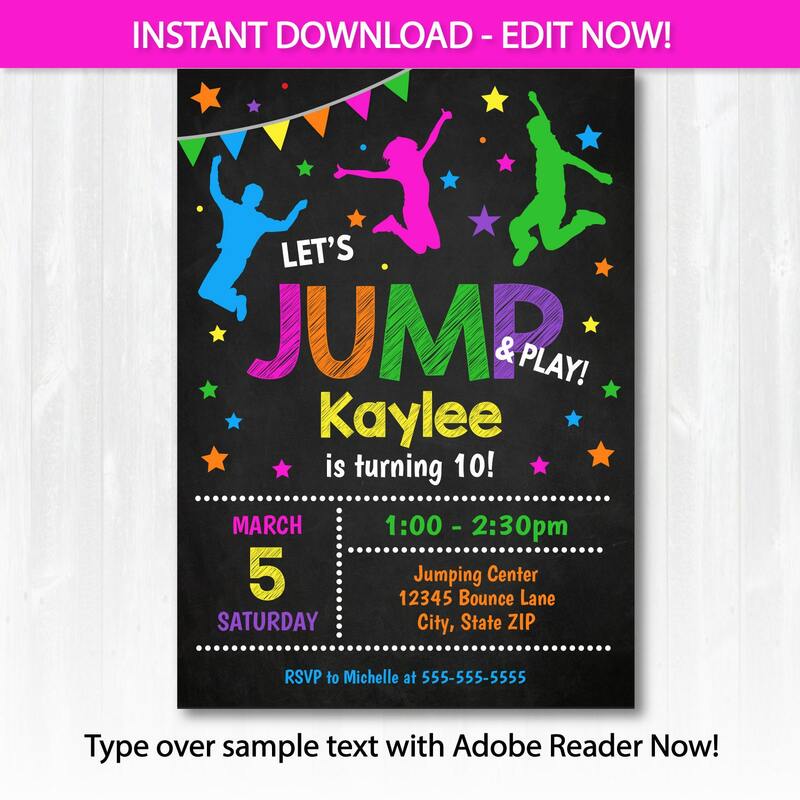 This listing is for a digital invitation that is customizable instantly by you! 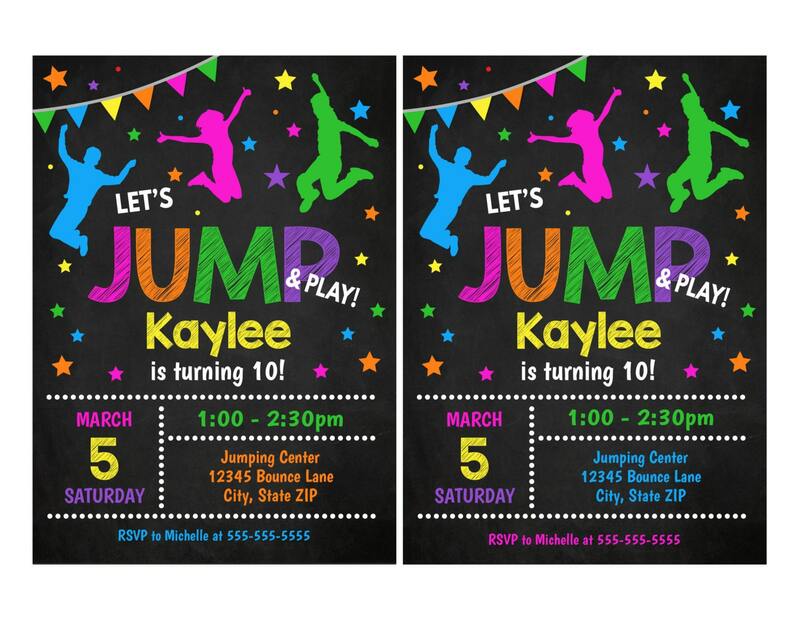 Invitations are 5x7 (2 per page). ♥♥"Let's JUMP and Play" is NOT editable. All other text IS editable. Please read included instructions for details (use Ctrl + E to open text bar to change font size). Please do not hesitate to contact me for questions or help. No actual materials will be shipped. The file will be available immediately on Etsy after you make your purchase. When your payment is complete, a link will appear for you to download the file. Please download (but don't click to open just yet!). Open Adobe Reader FIRST and then go to "File>Open" to open the file. You can also access the file instantly for download by clicking on your purchase history. •Sugar Shebang is NOT responsible if you do not have suitable software or a working knowledge of how to open or use this item. Please note that colors may slightly vary. I cannot guarantee that the color on the computer is what your printer will print, all printers print colors differently. •Due to the nature of the product no refunds can be offered.